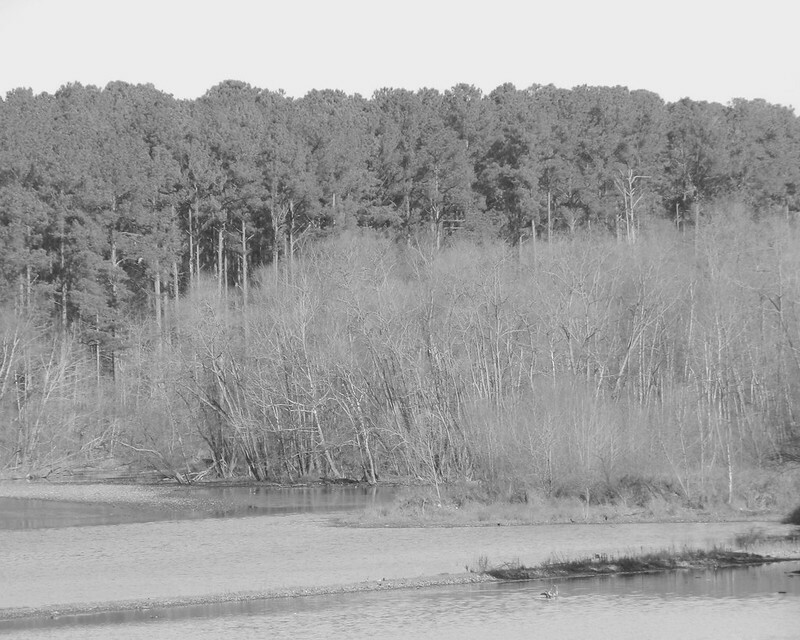 Not the best shot but I liked the contrast in texture between evergreens and deciduous trees at the lake. Black and White are great. B/W shots give off a certain ambiance so to speak that colored images don't. I love that mixture too. Some of that here in Florida too, which really surprised us at first. Lovely Carver and so sorry about confusing you with Today's Flowers. I thought I would give everyone a year to get used to the idea, then it wouldn't be such a big surprise. There seem to be a lot of flower memes out there now that I thought we wouldn't be so missed in case I closed it down. Just depends really. Have a great weekend and thanks for being such a great friend to TF all these years, can't tell you how much I appreciate that. So lovely photo in B&W! I like it, a mystical atmosphere !